I am upset about the protest about the “burning of the Koran” and I wanted to know “what the correct way is of destroying the Koran” is. I found this information to be very helpful and answered my question. I am a Catholic and the way that I was taught to destroy blessed religious articles was to “BURN” them in a container. Primarily, the blessed Palm that the church distributes on Palm Sunday at Mass. I had thought that was probably the best method also of destroying the Koran, and it is one of them. So WHY are these Muslims protesting this burning. It was not done to be respectful but to destroy the written notes by Detainees to other Detainees, which I think, would be a desecration of the Koran. President Obama should not have apologized, but explained to the Muslim community that these American Soldiers were only following order to burn the Koran and it was done in a respectful manner by burning them. The killing of American soldiers over this is disgraceful and shameful and those that did this, should be imprisoned. Surely, Muslims know the correct way of destroying the Koran, so I don’t understand why they are protesting, unless it is strictly to attack the United States, whose only fault is to try to protect this country from the Taliban and to establish a Democracy. It is a sad world that we live in. Please see these two documents for handling the Quran at Guantanamo. In the longer doc refer to para 16-13f. 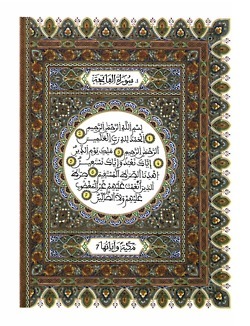 With reference to standard procedure for handling the Quran see the following docs. In the second,longer,doc refer to para 16-13f. Yes we all know that Quran or koran is the holy book of the muslims and we should be very careful in such acts like disposing the old and unreadable pages of Quran. Oh Thanks for sharing such a useful content about Quran. Love the way you have written this content as well.